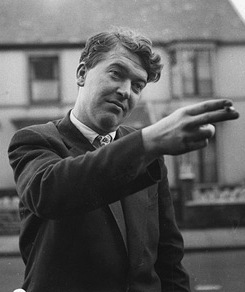 Kingsley Amis distinguishes two types of people in his amusing usage guide The King’s English based on their attitudes and usage: berks & wankers. These terms he quite obviously uses in absolutely nothing else but their most strictly technical sense as sociolinguistic descriptors! Berks are careless, coarse, crass, gross and of what anybody would agree is a lower social class than one’s own. They speak in a slipshod way with dropped Hs, intruded glottal stops and many mistakes in grammar. Left to them the English language would die of impurity, like late Latin. Wankers are prissy, fussy, priggish, prim and of what they would probably misrepresent as a higher social class than one’s own. They speak in an over-precise way with much pedantic insistence on letters not generally sounded, especially Hs. Left to them the language would die of purity, like medieval Latin. Amis suggests walking a middle path between the two; I agree. But I suspect that many of us may in reality follow a wandering path taking us from back and forth from berk to waker, depending on what part of the language we’re looking at. 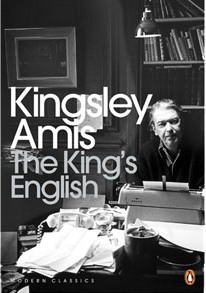 Also, having read many of Amis’ remarks on usage in The King’s English, I can’t shake the feeling that he himself might actually be a little bit of a wanker, in his own term. But maybe that’s just because sometimes I can be a bit of a berk. To see what the world is made up of — or at least the body of regular visitors of this blog — here’s a poll just for fun! Gallery | This entry was posted in usage guide and tagged attitudes, berk, humour, Kingsley Amis, wanker. Bookmark the permalink.